Even though Windows 7 is still rolling out to customers who get their first taste of the latest operating system from Microsoft when purchasing a new computer, a lot of people are already wondering what Windows 8 will hold for us when it appears a few years from now. Never let it be said that technology enthusiasts aren’t a curious lot. … Windows 7 is a blockbuster. We got it really right. 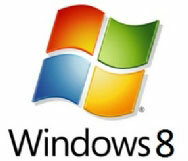 For me, Windows 8 will be mind-blowing. Okay, apparently we can expect to get our minds blown, but we have absolutely no clue what qualifies as “mind-blowing” to a Microsoft insider. Well, yes, it will be the future of PCs seeing as it will be released in the future … on PCs. Kidding aside, we’ve seen some integration of touch interface in Windows 7, and it isn’t difficult to assume the ante will be upped in Windows 8 as more systems hit the marketplace, and consumers get more comfortable with the concept. Beyond that, who knows, if its mind-blowing as Mr. Mangelaars suggests, and this unknown Microsoft insider saying that it is “completely different”, it’s easy to imagine that we don’t know what the heck we will be getting come 2012 or so. Microsoft is going to have to thread a fine needle here as consumers are going to want big changes, but if Microsoft goes too far afield with their ideas, they could end up alienating the general public by making it just too unfamiliar. What do you see Windows 8 being like?